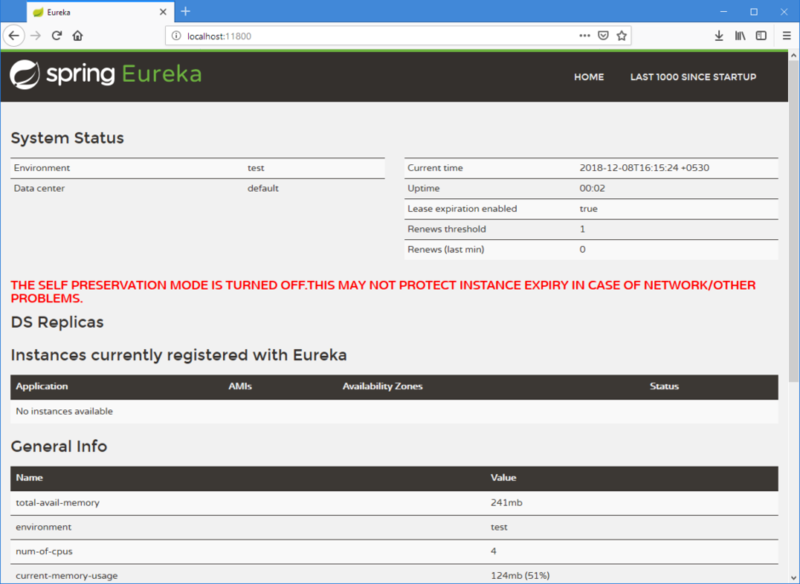 This is a quick example for setting up Eureka server using Spring Cloud. 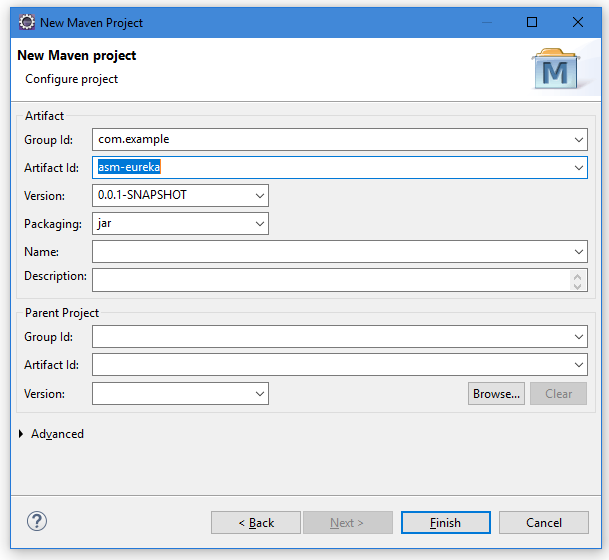 For this tutorial we will be creating a New Maven Project. 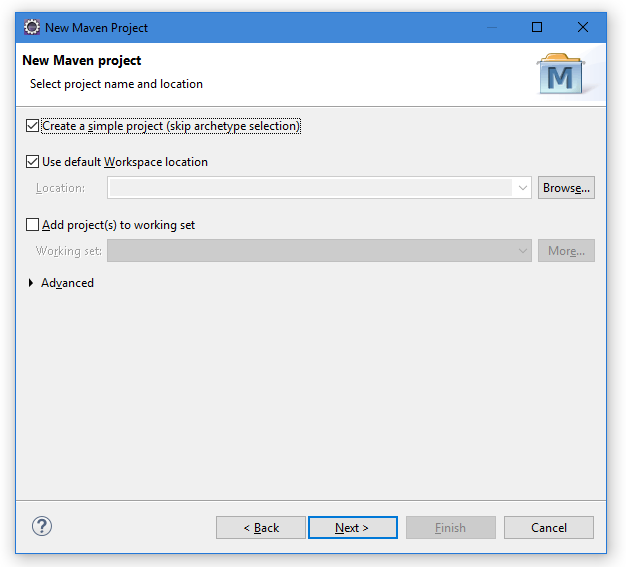 To keep thing more simple we will be creating a simple maven project i.e. we will be skipping archetype selection. Just fill in the requisite Group Id and Artifact Id on next screen and we are good to go. 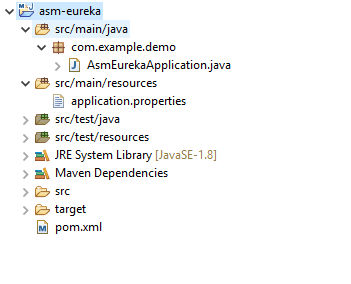 You will need to create only two files ‘AsmEurekaApplication.java’ and ‘application.properties’ for this project. Your may refer to following directory structure for their respective locations. That’s all. The magic annotation @EnableEurekaServer will do rest everything for you. Now just run AsmEurekaApplication.java as Java application and Eureka server should start on port 11800. You can open eureka server dashboard by navigating to http://localhost:11800 from your browser. You can download the whole project by using following link.